Just starting her junior year at Hubbard High School, Kaitlyn McCarthy is a second-year returning HUB staff member. She hopes the HUB will give her a chance to write about interesting events and will help improve her writing skills altogether. She enjoys focusing on school events or activities. As this year progresses, Kaitlyn hopes people will love to read her articles as much as she likes to create them. In school, Kaitlyn is enrolled in all honors classes, which keep her very busy. She is taking college credit plus classes both this year and the next. Along with being a part of the HUB staff, Kaitlyn is also an active member in Student Council, French Club, and yearbook. She is a sprinter for the track team. She hopes to continue and join more activities her senior year. Kaitlyn would love to graduate maintaining her 3.8 GPA and an honors diploma. After high school, she plans to go to YSU for a career possibly in law or medicine. After taking classes at YSU, she plans to move south and begin her career. 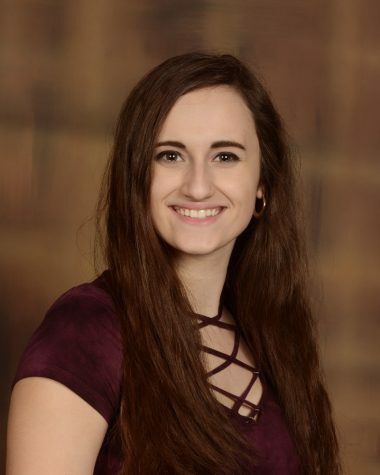 Kaitlyn is proud to be part of the 2018-2019 HUB staff and hopes her writing will be enjoyed by her fellow students.